This monologue preparation class is designed to help actors deliver a strong, performance-ready monologue for professional auditions. Each actor will have the opportunity to work on and present their pieces in a nurturing, yet challenging environment that helps free up the actor's imagination and make strong and dynamic choices. Francisco teaches specific, repeatable techniques to help take your audition monologues to the next level. 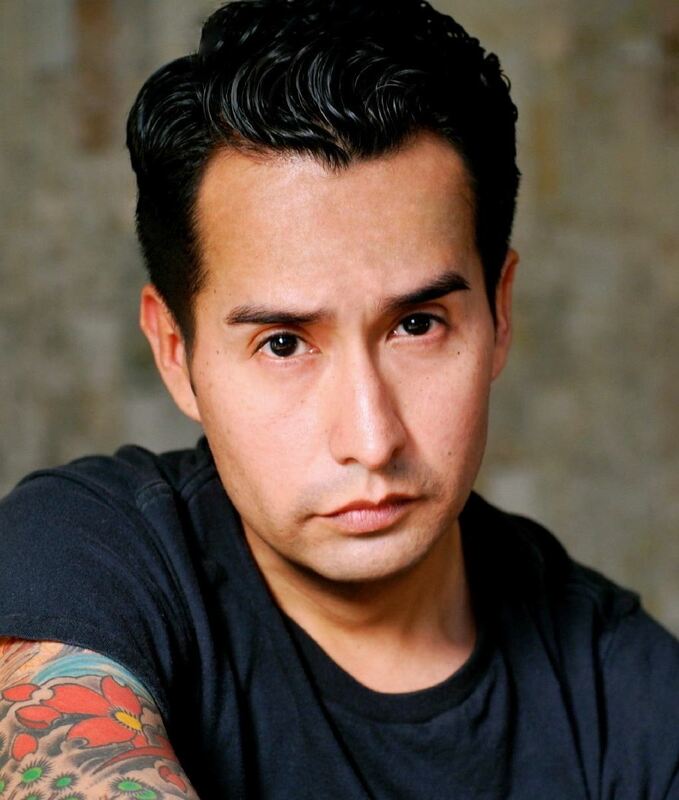 Francisco Garcia is a director, actor and educator. His most recent directing credits include the world premieres of Emilio Rodriguez’s Swimming While Drowning and Olga Sanchez’s Broken Promises at Milagro Theatre, the regional touring production of Jose Cruz Gonzalez’s Tomás & the Library Lady for Oregon Children’s Theatre, Anna Nicholas’ 3 Actors in Search of a Play for Profile Theatre’s 24 Hour Play Festival, Nelson Diaz’s World Classic for Milagro Theatre’s INGENIO New Works Festival, and Naomi Iizuka’s Anon(ymous) for Lewis & Clark College. This Spring Francisco will be directing Joan Cushing's Diary of a Worm, a Spider, and a Fly for Oregon Children’s Theatre at the Newmark Theatre. His recent acting credits include NBC’s Grimm, IFC’s Portlandia, A24 Film’s Lean on Pete, Romeo in Romeo and Juliet at the Shakespeare Center of Los Angeles and E.M. Lewis’ The Great Divide for Portland Shakespeare Project’s Proscenium Live New Plays Festival. He has also appeared in numerous regional and national commercials and is represented by Dangerfield Talent. Francisco is a member of SAG/AFTRA and Actors Equity Association and currently serves on Portland's AEA Liaison Committee. As an Educator, Francisco has taught theatre classes and workshops in acting, classical theatre, multicultural theater, playwriting and community-based theater for such schools and programs as Lewis & Clark College, California Institute of the Arts’ Community Partnership Program, Mark Taper Forum, Shakespeare Center of Los Angeles, Los Angeles Unified School District, Oregon Children’s Theatre and Portland Public Schools. Francisco was awarded a teaching fellowship from the Mark Taper Forum/Dana Foundation and received his Master's degree from California State University, Los Angeles and also studied with the Moscow Art Theater School, Cornerstone Theater Company and Moisés Kaufman's Tectonic Theater Project. Cancellation Policy: Workshop registrations cancelled more than 2 weeks in advance will be fully refunded. Cancellations made less than 2 weeks in advance but more than 48 hours in advance will be charged half the workshop fee (or, if it was paid, refunded half the fee.) Cancellations received less than 48 hours in advance will be charged the full amount and not refunded.